Welcome to Santa Fe Team Building! 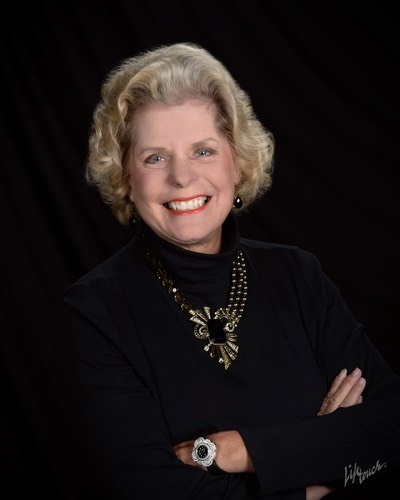 Custom Tours by Clarice, Inc. offers a variety of Team Building opportunities for corporate clients. Come grow your team and explore your potential in the beauty and magic of Santa Fe’s high desert environment! MOVIE STAR FOR A NIGHT! We use a variety of scenes from many different legendary Hollywood films for “auditions” for your teams to appear in an “upcoming” movie, such as “It Happened One Night” or “Casablanca”. The stars of the films have refused to appear due to a contract dispute, so we have to find new stars, and your groups have been selected to be in the running to replace the stars. 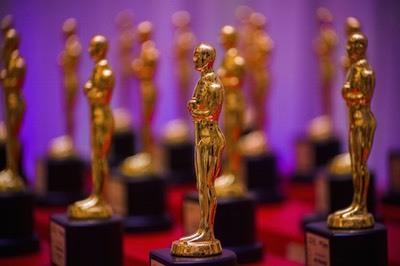 This is for the “hams” in your groups, and we will select the best readers in each group for their Oscars! We use our own Hollywood back-drops and decorations to transform the venue into a Hollywood back lot. This activity is a salute to the very-successful television and movie industry in Santa Fe and is great fun for your group! Your group will experience the sights, sounds and flavor of the Southwest. Each team will make their own brand of salsa, guacamole, or enchiladas. 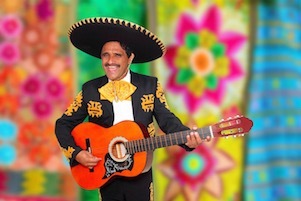 We will provide or own decorations for a themed event, with taped mariachi music, to set the stage for this food team builder which combines creativity with culinary skill and lots of fun, as well. Each team will design a team logo and write a marketing plan for their creation, all within the allotted amount of time. All winning team members will receive medals for their culinary masterpieces. Each team will be assigned to have their photo taken with as many Hollywood stars as they can fit into the time allotted. 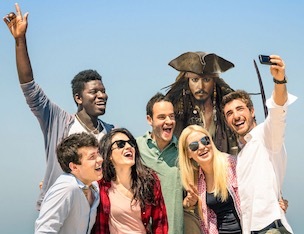 Our firm has over 100 stand-ups of Hollywood stars that we’ll position in hard-to-find locales so the teams can search for them and have their group photo taken with the celebrities. The reward is a tour to one of Santa Fe’s movie studios where many productions are being filmed. DEVELOP A SCRIPT FOR THE NEXT MOVIE BLOCKBUSTER! Unleash your teams’ creativity. Your “production teams” will be charged to produce a 5-minute movie, including casting and filming the movie, using their cell phones. Each film will be considered by a panel of “producers” who will consider “distributing” the film nationwide to be the next big blockbuster! We’ll take photos of the winning team in front of our stand-ups from various Hollywood blockbusters. We’ll give each group a list of different sites to locate in Santa Fe, take group photos at each location and report back at the end of the event, reporting to everyone the history of that site (that is provided to them by one of our staff) and what they’ve learned about our area. One of the most iconic highways of all time is the famed Route 66, which came through Santa Fe, briefly. 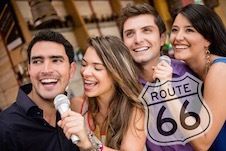 We tell the history of Route 66, in song, from its’ beginnings in 1926 in Chicago to its termination in Santa Monica, California. The federal highway system replaced it in 1986, but there are many sweet memories of this phase of our national history. 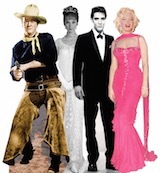 We audition for singers for a “Broadway Show” about the highway, looking for singers for “The Andrews Sisters” (from the World War II era); Elvis (from the ‘50’s); and “The Four Seasons” (from the ‘60’s). Costumes for the groups will be provided and photos of the winners will be taken and presented to them, as a reward for their hard work! A dance follows these auditions, with music from the mid-20’s through the ‘80’s. This is a real treat for your group!